5 Yen coin is called "go-en" in Japanese, which also means fortune or destiny. It is consist of five of 5 yen coins. 25 yen (nijyu-go-en) also means double fortune. Ki-masu (wooden masu) also means something coming. 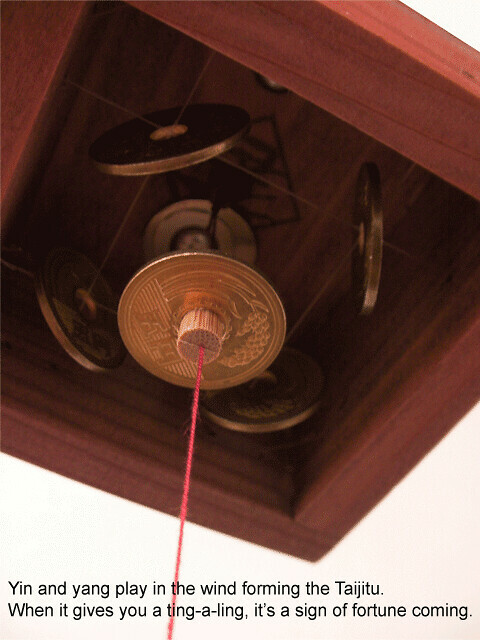 After all, there is this hidden message "double fortune coming" is implied behind this special wind-bell. This kind of double meaning or playing words is very traditionally popular in Japan and it is considered to be very good luck. Expect the never known sound of Japan. When it gives you a ting-a-ling, it is a sign of fortune coming. 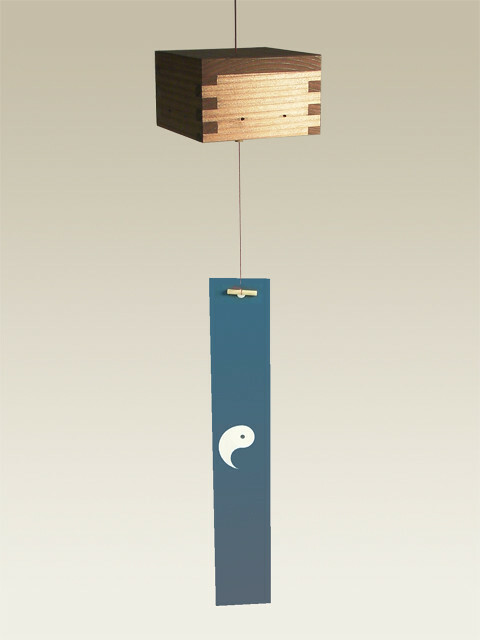 As yin-yang tanzaku (a strip of paper that receives wind) goes turning around, the image of Taijitu emerges. The tanzaku can be easily removed and replaceable with your original ones. It can be switched to silent mode without taking off tanzaku. Extremely rare sound of Japan is revealed.